In my 29 years of life I’ve been in and out of church a few times. I’ve let the negative church experiences keep me away from God. On Independence Day I decided to give my life back to God. Since then I’ve been seeking God in prayer and the word. I’ve been learning, living, and loving every moment. It’s amazing how much God reveals when you seek him with all your heart! 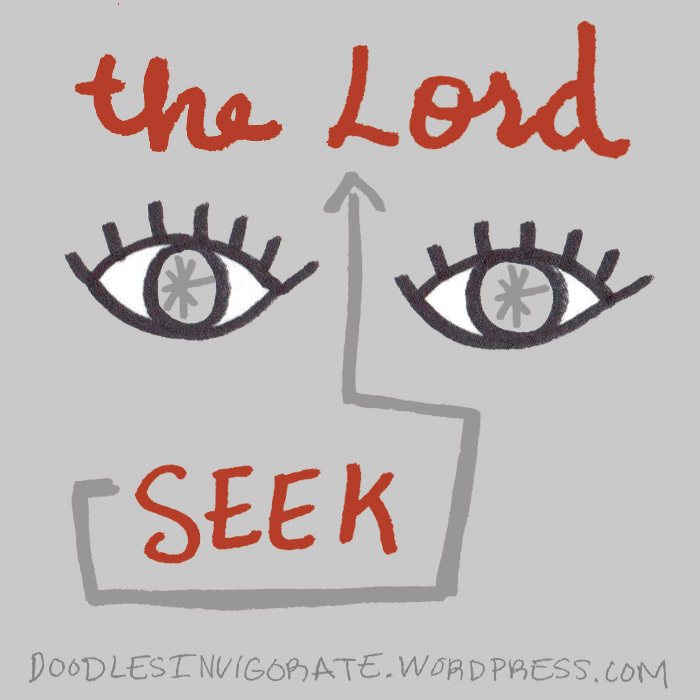 Seek the Lord! Amen, seek The Lord with all your heart! And the rest will just fall into place. Amen. That is what I’m learning now. It’s easier to just submit and let God do all the hard work. All we have to do it look for him and wait on him. Amen! Thanks for liking my post “A Microsecond in a Millennium.” I read your about page and liked it also. You’re an inspiration. God bless, and keep doodling. Thank you Tricia! Thanks for stopping by.